you also forgot funny, cuz it’s not pictured either. 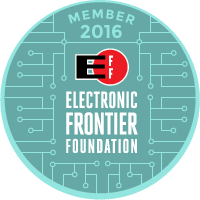 What kind of maverick wears a button with their own name on it. I mean, Chuck Norris, David Hasselhoff and Mr. T would never do it, so what was she thinking. Pfft. Wow, she does have a button with her name on it. Also, not very funny. Maybe if the other picture was Britney Spears, because I swear Spears is always making that stupid face seen here. @dieAntagonista: Retarded people will often have their name visible on their clothing. 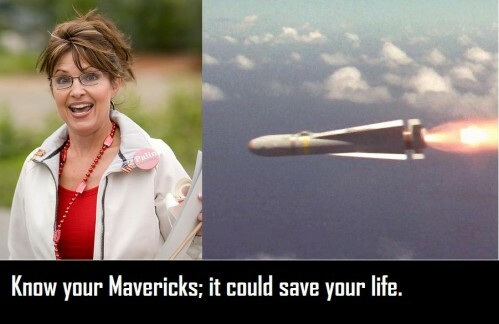 The image is actually much funnier if you take the text away and just leave in the missile aimed at Palin. Not pictured- Airport security going nuts because I had a missile on my laptop. Hey, I saw this post you commented on saying you had “really cool irises” with “gold rings around them”. Not sure how else to contact users. Assuming you weren’t making a joke, any liver disease in the family? “Psychiatric disturbances?” Might wanna check out Wilson’s disease before you start your prozac.